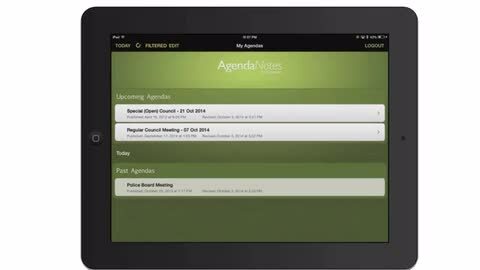 The Agendanotes iPad app is a tool that elected officials and staff can use to download agendas and make annotations. Integrated with iCompass’ meeting management solutions, it improves the in-meeting experience while ensuring instant, automatic access to the most up-to-date version of an agenda. You can download the free demo by searching for AgendaNotes in the App Store or by following this link.